This week I volunteered to read to my son’s class. Since Valentine’s day is literally just a couple days away, I decided to pick a couple of books that celebrate love and warm, happy feelings. I absolutely love these books and they were perfect for the occasion and season! 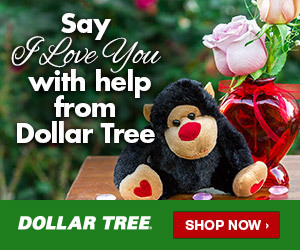 If you don’t know what Dollar Tree is, it is the best dollar store in the world and every item there is a dollar or less! Pictured above are pencils, erasers, bubble tubes, plastic treat bags, and tissue paper. I literally spent less than $3 TOTAL for the items pictured below: Pictured above are plastic cups, buttons, and plane kits. I also like to add a few sweets in there (because it’s Valentine’s Day!!!) so I added a couple of lollipops and rice crispy treats from my local grocery store. After I gathered all of the items, I essentially used the cups as little “baskets” to hold everything. I made a total of 24 treat bags– one for each student in his class. This project cost me less than $20 to make and about an hour to assemble. The kiddies nearly lost their minds when they saw them! I love how the smallest things can bring so much joy. I’m still not done with assembling my other Valentine’s Day goodies as I’ve procrastinated just a bit. So if you’re in the same boat as me, we’ll be burning the midnight oil together! Cheers to you and I hope you’re having a Happy Monday! If you have small children, chances are that you’ve heard of The Very Hungry Caterpillar by Eric Carle. This was one of my favorite books as a child, so when my bug told me he wanted to be The Very Hungry Caterpillar for Book Character Day at school, I was thrilled! This outfit was so easy to make, and it took me less than an hour to pull together. Best of all, my bug loved it! I then hot-glued the fruit shapes onto some old buttons that could be pinned to the shirt and removed later. Place the pins where ever you would like on the shirt. (*If you are OK with fully sacrificing the green shirt you’re using for this project, feel free to hot glue the shapes directly onto the shirt where ever you like.) Just like that, the shirt was complete! Again, I cut the shapes of the eyes, nose, and antennae free-handedly out of the foam sheets and construction paper, using the pictures in the book as reference. Last but not least, I glued the shapes directly onto the hat. After the glue dried, I put the hat on myself to figure out where I needed to tuck and trim. I paired this hat and shirt with khaki pants and sneakers (it was cool outside) but this could easily pair with a variety of different bottoms and shoes. My bug is still able to wear the green shirt, and the fruit pins and hat are waiting in queue to be added to a scrapbook I’m working on. This was a cheap and easy project that took me less than an hour to make, using materials that I already had on hand. Best of all, this outfit survived the whole school day, including recess and P.E.! I hope this post gave you some ideas for your own Book Character Day project. I’d love to hear from you– let me know if you liked this project, or have any questions!